The Titans have been looking for another backup QB since losing out on Chris Simms to Denver a couple of weeks ago. 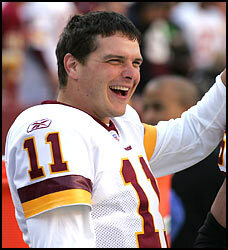 They found their man on Friday, as they inked former Redskins first round pick Patrick Ramsey to a one-year deal. 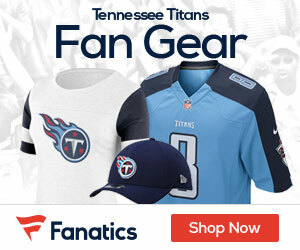 Ramsey comes to the Titans after two seasons with the Denver Broncos. he has completed 511 of 913 passes for 5,930 yards with 35 touchdowns and 30 interceptions during his career. He has appeared in 37 games with 24 starts. Before Denver, he played for the Redskins and Jets. Ramsey worked under Titans offensive coordinator Mike Heimerdinger with the Broncos in 2007. The former 32nd overall pick in 2003 will likely to be third on the depth chart behind Kerry Collins and Vince Young.